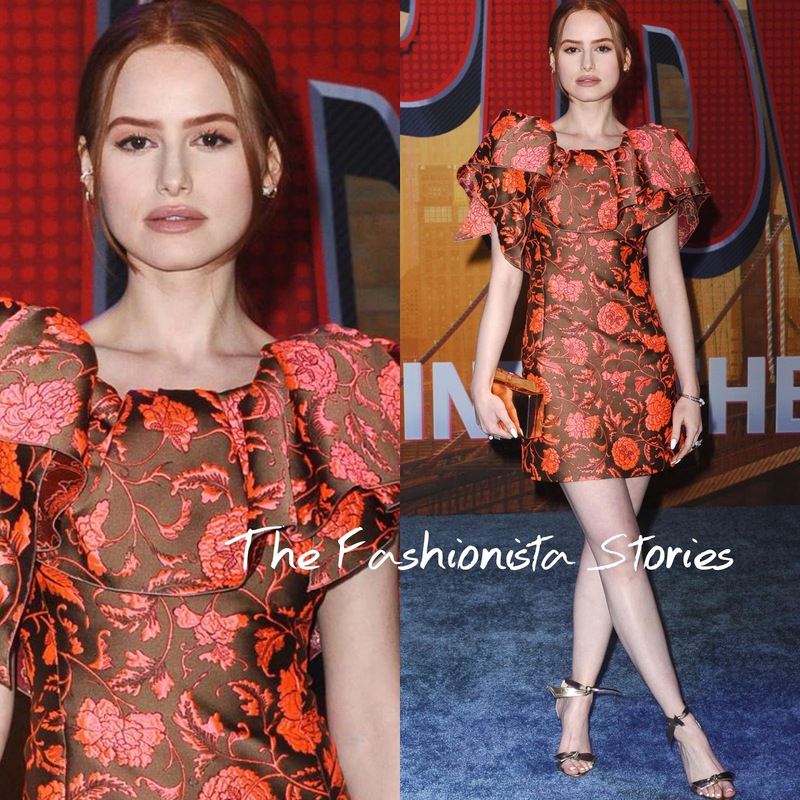 On Saturday(December 1st) Madelaine Petsch worked the blue carpet at the world premiere of Sony Pictures Animation and Marvel's 'Spider-Man: Into The Spider-Verse' at the Regency Village Theatre in Westwood, California. For the occasion, she turned to PAULE KA, wearing a pink and brown floral jacquard mini cocktail dress, featuring a tier ruffle neckline. I really like the color combo here, because that brown hue alone, wouldn't be a great hue on her. Beauty wise, she kept things simple with minimal makeup and a center part ponytail which topped off her look along with APM MONACO studs and a gold clutch & sandals.